1955 — Men Aflame. Oil paint on canvas. Surrealism style. 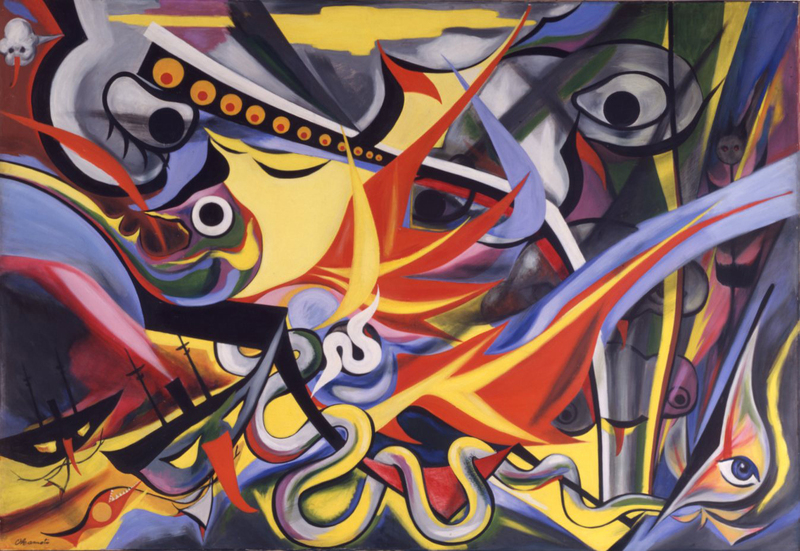 Taro Okamoto (1911-1996), The National Museum of Modern Art, Tokyo, Japan. Japan, circa 1943. 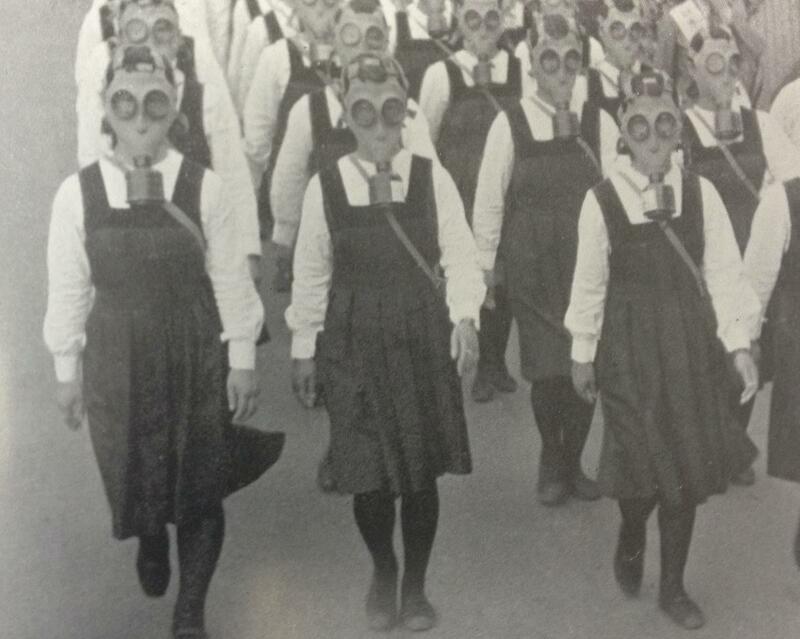 Young school girls wearing gas masks during the height of World War II, apparently in the midst of a drill of some kind. 1941, Japan. 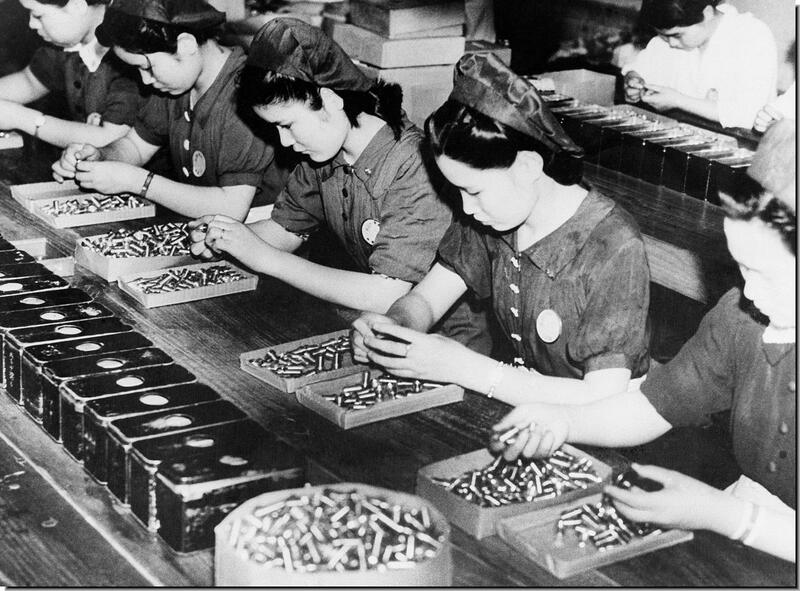 Women working in a Japanese ammunition factory. 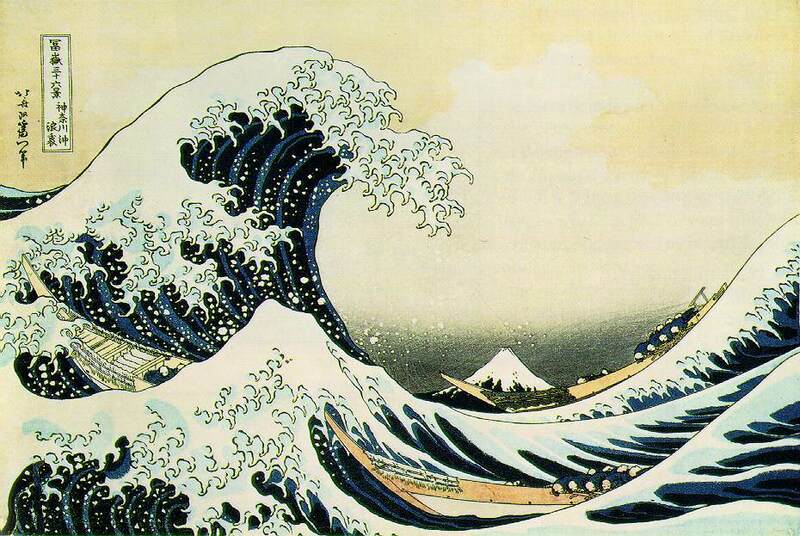 1831 –The Great Wave off Kanagawa. Woodcut. 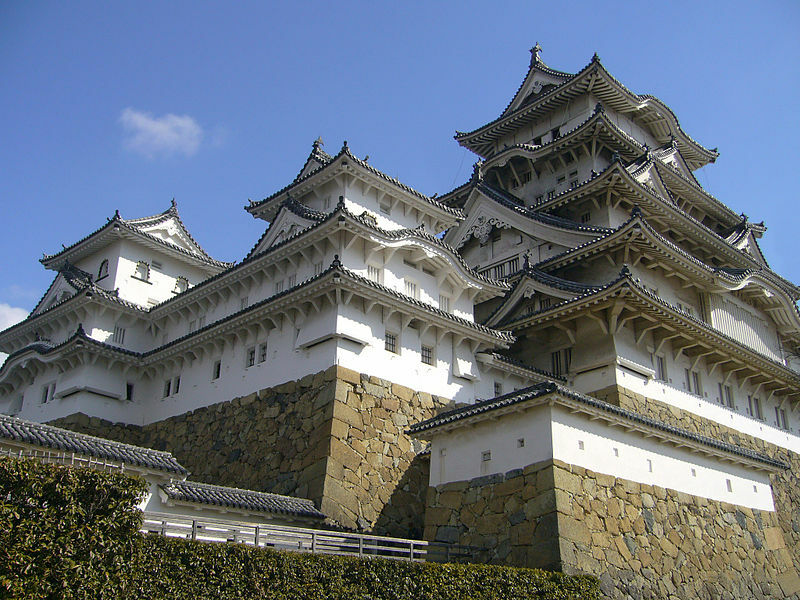 Japanese Edo Period. Katsushika Hokusai (1760(?) – 1849). Private collection.